Baroque architects knew how to make great, seductive curves in architecture. 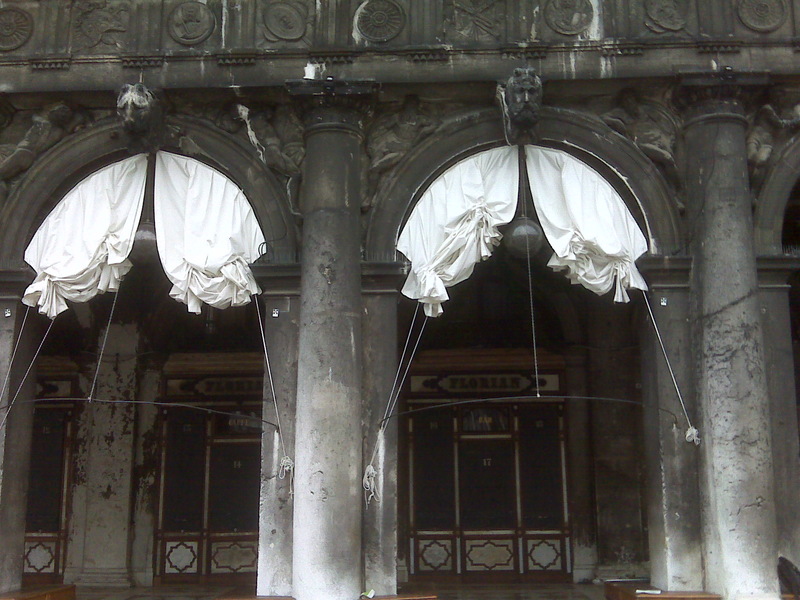 These ones festooned with pantaloon-like curtains at Cafe Florian, Piazza San Marco. Discovered one cold evening in November. Before the annual flooding of Venice.